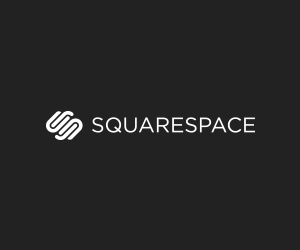 Get your FREE 14 day Trial of Squarespace right here. Use CODE “FRO” at checkout if you decide after 14 days that it’s for you to get 10% OFF your first year. As of late and by late I mean the last few years I have neglected my personal portfolio website. The first reason I neglected it was the fact that I was not in control of the page because it was not easy to make updates. The second reason is the larger focus has been on FroKnowsPhoto.com. With that said, now that I have switched over to Squarespace and it’s so much easier to make changes to my galleries I still have been neglecting it and I shouldn’t be. The truth of the matter is it takes 2 minutes to set up a new gallery on your site. That’s why i just sat down to add my recent photo story from Auschwitz to the site. These images need to be on my site because they represent the type of stories I can tell in my images. As you can see from the video it was quick and painless to create the new gallery, organize the images and add a video. The images were exported from Lightroom at 2000 pixels on the longest side at 80 quality. Squarespace then goes ahead and resizes them multiple times for quick loading. The reason I keep making these Squarespace videos is to show you how easy it is to have your own professional photography website. Not just how easy but how affordable and effective it is. Having your own site that you are in control of means you are working on your own timeframe not waiting for someone else to do the work. With it being so easy to make changes and updates I really need to leave my self 5 minutes of time after I am done processing my photos to add them to my Squarespace website. Try your hand at building a professional website RIGHT HERE.